Updated 1 bedroom basement suite in 1/2 duplex, 1 bath, fridge, stove, shared washer/dryer, window coverings, alley access. 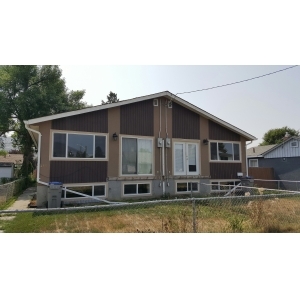 Close to parks, shopping and bus. Hydro included, 1 small pet negotiable with deposit, no smoking, 1 year tenancy required, $1000/month. Please call 250-851-9310 to discuss a time to view this property.